The history of Hofland goes back to 1927 when a gentleman named Jacob Hofland took advantage of the American marketing model and became one of the first successful Dutch entrepreneurs after the second world war. With his company Hofland and Semeijn, he created numerous spirits that became popular with the Dutch clientele, resulting in building a production plant in 1947 that housed three stories high cellars. 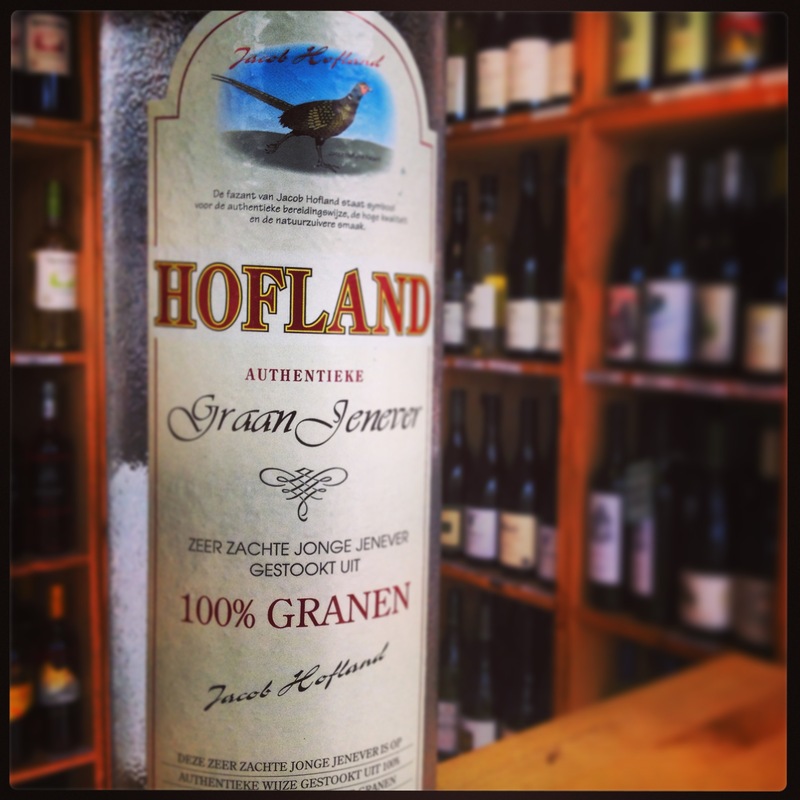 An idea to create the ultimate Dutch Jenever came about and Jacob Hofland decided to use 100% grain jenever. Today, Hofland is still made to this recipe that uses a minimum of 15% pure malt. It’s this recipe that resulted in Hofland being awarded the best Dutch Jenever in 2004. Ripe green apple on the nose with lots of soft fresh notes coming through. Soft wheat on the palate, with the apple flavours mixing with vanilla and juniper. Hints of malt near the fresh finish. Pour genever and vermouth into a cocktail shaker and stir with ice. Strain into a Martini glass, squeeze a twist of lemon peel over and drop into glass. Jenever can be a overated category, but unless you have a sweet tooth, i can see why most have never really tried when in a bar or restaurant. Available in Booths, it’s always worth a go if you like something different.